SYDNEY DANCE RHYTHMS ('SDR') offers a range of classes for children including Creative Dance, Ballet, Jazz, Contemporary, Hip Hop, Salsa, Latin and Ballroom dancing. At SDR your child will have the opportunity to perform and display the skills and dances they have learnt at the end of each term. Throughout the year SDR will hold performances at one of many events including local Festivals, Carnivals, Dance Spectaculars and other festivities, and your child may be chosen to show his or her newly learnt dance talent. Contemporary dance involves many techniques, styles and traditions, and is continuously developing and experimenting. 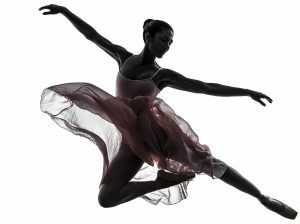 It has roots in America and central Europe in the 1800s, and evolved as a reaction against ballet, promoting a more expressive and free style of movement. Our Kids Contemporary Dance Classes encourage children to develop their flexibility, movement, sense of gravity and how to play with it, develop floor work, and fitness levels whilst playing cheerful melodies and tunes for your child. Your child will be taught to execute free style choreography and movements, which helps with the development of their creativity and imagination. Moreover, our dance classes for children are taught by highly trained teachers and classes with SDR will positively benefit your child's self-esteem development, coordination, confidence and socialization. Sydney Dance Rhythms offers the opportunity to all our students to perform at our regular end of term parties, and local community events. Our kids dance classes are taught by experienced instructors in a safe and child friendly environment. Contemporary Dance will be studied in the Technique Class on Thursday nights at the Summer Hill Location. Elements of Contemporary will also be introduced in the dance choreography chosen for the Recreational Performance Dance Troupe on Thursday evenings. Please refer to the Timetable on our website. Please refer to the FAQs below for uniform details and more information. What is Jazz and Contemporary Dancing? At Sydney Dance Rhythms, we incorporate the two genres in one class, since the two types of dancing influence each other. Jazz Dance is more syncopated, uses body isolations, while Contemporary Dance is more fluid, uses gravity, and is used to express feelings in a freer way. If this class for boys and girls ? What age-groups are these classes for? These classes are ideal for children aged between 6 and 15 years old. The classes are 1 hour in duration. We recommend you arrive at least 5-10 minutes prior to the commencement of your class for sign-in. Yes, parents may sit on the chairs provided at the back of the classroom. We would appreciate if parents keep the noise at minimum to avoid interrupting the class. It is encouraged that parents remain outside of the running of the Jazz and Contemporary Dance Classes to minimise disruptions to the class and encourage teacher to student rapport. Will the children be given the opportunity to perform at community events? Yes, the children will be given the chance to perform at different community events. We have been regularly invited by different local councils to do dance performances, and children had the opportunity to showcase their dance routines. Please ensure you have read and understood the Dance Class Terms and Conditions. Participation in the classes will be considered acceptance of these terms and conditions, and any ongoing updates to these terms and conditions.